I’m not sure if I’m allowed to begin a post with a woohoo, but I’m going to do it anyway. Woohoo! 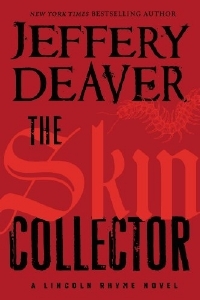 If The Skin Collector by Jeffery Deaver sounds a bit like a long-awaited follow-up to The Bone Collector, well that’s because that’s exactly what it is. We now live in a world where tattoos seem to be the norm, rather than the exception. Everyone has a tatt now, but in The Skin Collector, the artist is using poison instead of ink. His victim is a young woman and he’s left a message on her skin: ‘the second’. Enter the brilliant pairing of quadriplegic investigator Lincoln Rhyme and his associate Amelia Sachs. They find the scene has been scrubbed of evidence, except for one small thing – an all-important scrap of paper. The scrap of paper links this latest death with the Bone Collector case from years before. Rhyme and Sachs again find themselves pitted against a twisted serial killer who seems to choose his victims at random and plans each murder in intricate detail. But how close is this killer to the Bone Collector? What do the tattooed words mean and what – or who – comes next? If you’ve read The Bone Collector, Rhyme and Sach’s debut, or caught the gripping movie version with Denzel Washington and Angelina Jolie, you won’t need any further persuasion. 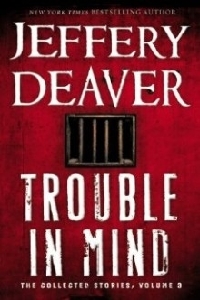 For those that do, it may help to know that Chicago-born Jeffery Deaver is an international author, whose novels have topped bestseller lists all around the world. His work is sold in 150 countries and has been translated into 25 languages. Millions of readers have been unable to put his books down; he’s master of the plot twist and the surprise ending. What more could you ask of a thriller writer?